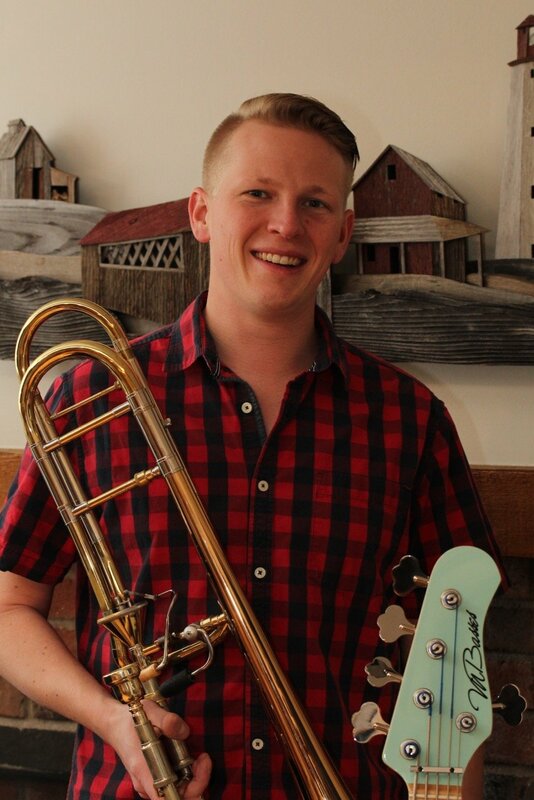 Adam Clark is a Connecticut native brass player, bass player, and music educator. He holds a degree in Music Education from The Hartt School at the University of Hartford where he studied euphonium under James E. Jackson III and trombone under Dr. Ronald Borror. While at The Hartt School, Adam performed with all of the major ensembles in addition to a number of chamber ensembles. Most notably, Adam has performed at Carnegie Hall with the Hartt Wind Ensemble, and advanced in the International Tuba Euphonium Conference competition at Arizona State University with his tuba quartet. Currently Adam plays bass for the band Atlas Gray, who he has toured the East Coast with and provided support for guitar legend Albert Lee, Denny Laine of the band Wings, and Peter Asher, famed producer and singer. Adam also holds a K-12 Teaching Certificate in Music Education from the state of Connecticut and has been teaching privately for 10 years. Kara Cook is a music educator from Long Island, NY. She went to the University of Hartford, the Hartt School and graduated in 2014 with a Bachelor of Music Degree in music education. At the Hartt school, she studied with Carrie Koffman. Kara performed with the Hartt school saxophone ensemble at the 2010 North American Saxophone Alliance conference in West Point, New York. 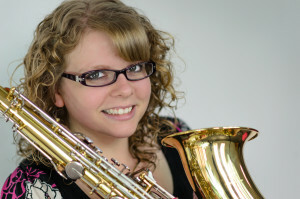 In 2012, she was a part of the clarinet section for the Hartt School Wind Ensemble’s performance of John Corigliano’s “Circus Maximus.” She also performed with her saxophone quartet, Party of 4, at George Mason University in Fairfax, Virginia at the 2013 International U.S. Navy Band Saxophone Symposium. Currently, Kara plays tenor saxophone in a reggae cover band composed entirely of music educators, called Elm City Sound. Kara is a general music teacher at Haddam-Killingworth Middle School for grades 6 and 7. She also works at three private schools teaching band, grades 4-8, and general music, grades K-4.